Boomerang Packaging, Houston's premier packaging supplier, carries a full line of cargo moving boxes and RSC boxes for use in cargo or part shipping, packaging, storage or mailing. Whether you need boxes for your shipping room, an automated packaging department, or specialty cartons for hazardous materials or fragile products, Boomerang will be able to provide you with the boxes or cartons you need. Boomerang Packaging is committed to providing every customer with the best cargo moving boxes or RSC boxes for their application. Every customer is served with total commitment and excellent customer service, whether you are an international company, or small, local manufacturer. 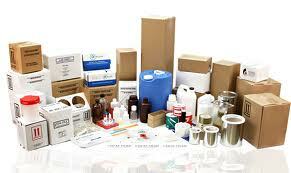 Our boxes and containers are available in cardboard and plastic. They can be used in automated or manual packaging operations, and ordered in quantities as small or as large as needed. With our unparalleled customer service and commitment to providing every customer with the most effective packaging products for their application, Boomerang is the solution to your packaging needs. It's all in our name- we work hard for you, so that you keep coming back- Boomerang!